As part of the larger Renown Health, this clinic has affiliates with the closest other clinic being in Sparks about 3.6 miles away and is open today from 8:00am to 7:00pm. 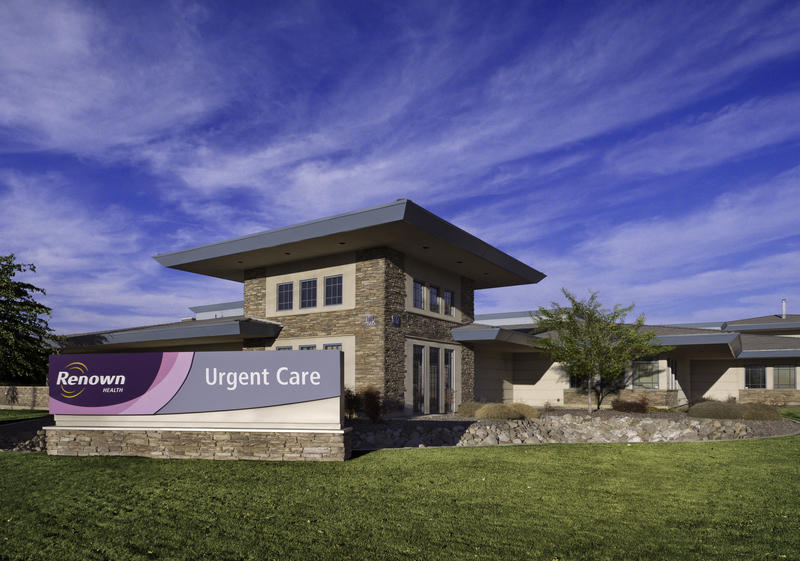 Recognized favorably amongst their patients, Renown Urgent Care, Vista has an average rating of 4.8 stars out of 5 based on 1458 total ratings. Renown Urgent Care accepts many major insurance plans and multiple forms of payment, making it easier to get the affordable care you need. It is always a good idea to contact your insurance company before your visit to ensure the Clinicis in network for the service(s) you're seeking. My experience with this very well and I would recommend anybody to go there whenever you I would like I would recommend anybody to go there when they when they are sick. I only have a problem with the wait time. I was in and out in 30 minutes. I got the care I needed. Overall outstanding experience. Easy process to book appointment. Great people experience by all at Renown. The doctor kept telling me that I shouldn't have come in that I should have seen my primary instead. It was rude. It was unexpected to have to come into urgent care. He made me feel like I was exaggerating or overthinking at how I felt. The stuff is very friendly they're very helpful 👍. Appointment system makes the wait much less. I arrived at the Vista Blvd urgent care after work yesterday with the definite symptoms of a urinary tract infection. The admitting receptionist was very friendly and efficient. She even came out from behind the desk to get the sign in pad working for those of us standing in line. I was thankful when the MA called me back and let me give my urine sample immediately! She was professional and very friendly as well. Dr. Bertalmio was definitely worth the wait! He was profsssional, comical, personable and thorough with my diagnosis and necessary treatment. I apologized for keeping him there so late and his reply was, “it’s part of the gig. Let’s get you feeling better.” I have been to this urgent care many times and it is always a great experience and my medical issues have always been properly taken care of. I am always glad to go to Renown Urgent Care on Vista. The staff is always friendly and kind. The PA’s have always been knowledgeable with a kind and understanding manner. I will always recommend this care facility. I was in and out in a reasonable amount of time. The staff was professional and the location of the facility was convenient. The MA Megali seems to be very tired. She's not friendly at all. I feel like she rushed to get out of the room. Kevin is not thorough with his diagnosis. It's probably a bad day for sataff.